If you are a small business owner, accounts receivables management should one of the things you do you really well. Alas, it often takes a back seat to sales and everyday operations. Imagine though, what would happen to your cash flow if those new customers did not pay you? You might be forced to restrict credit lines, which would make you less competitive. You would have to divert your attention from managing your business to come up with a plan to bring the money in. Accounts receivables management therefore, is essential for sales and operations of your business. One simply cannot exist without the other. 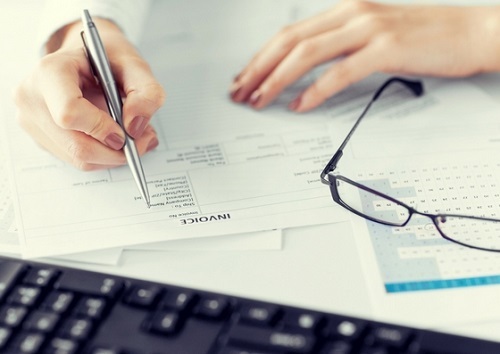 So how do you manage your accounts receivables? Your first step is to make smart credit decisions. Get to know your customers. Not every customer deserves credit from you, and not every customer to whom you extend credit should get the same terms. Do as much as you can to gather as much information as you can on a new customer, including credit references, and verify them. Once you have decided to extend credit to a customer, document your arrangement with a customer contract. It is nice to think that you can do business on a handshake, and sometimes you can, but why take the chance? Many of the files that land on my desk as delinquent desks are undocumented “handshake” deals. An oral contract is often accepted in a Court of Law, but an oral contract leaves open the opportunity for a customer to remember your oral arrangement differently, and remember it differently they will as soon as there is a payment dispute or delinquency. No time to prepare a formal contract? Send a simple email confirming basic details including when and how you expect to be paid, and what will happen if you are not paid on time. Remember though that a contract must be bilateral, so make sure that your customer confirms that they agree. Once they agree, you have a simple contract, which is certainly better than nothing at all. Lastly, develop and commit to a process to monitor and track your your receivables. You (or a staff member you trust) should be intimate with what you have outstanding at 30, 60, 90 and over 90 days and have a plan of what to do at each stage of aging. Get on the phone and speak with your customers. Send a well worded collection letter. Hire a collection agency. Use the court system. In short, take action! Accounts receivables management, if properly executed, will impact every aspect of your business. You will have more time, more sales, better cash flow. On the other hand, if you do not manage your receivables, they will end up managing you.